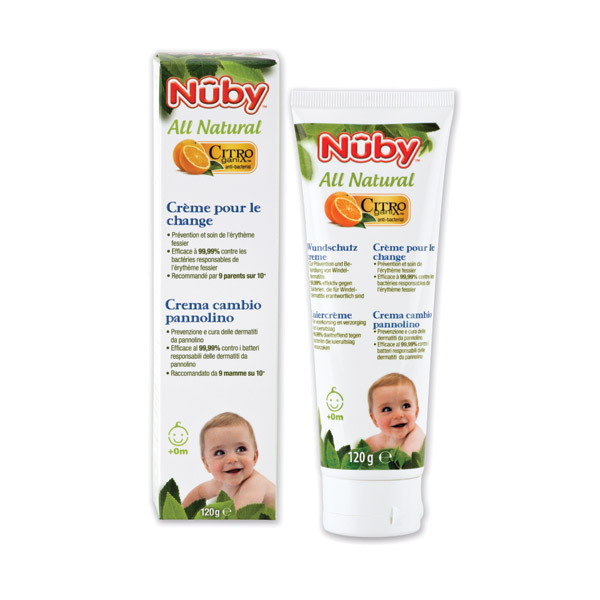 Unlike most other Nappy Rash creams, Nuby's with Citroganix™ moisturises and protects using All Natural ingredients. Citroganix™ is a patented and unique blend of botanical extracts that have antiviral, antibacterial and antifungal properties. Citroganix™ is 99.999% effective against germs (including bacteria, viruses, fungus, yeast, and protozoa). Citroganix™ continues to be effective for up to 4 hours after application. Citroganix™ is all-natural (from botanical extracts), alcohol-free, non-toxic and safe if ingested. When you choose Nûby™, you can rest assured that every chemical in our products has been studied and determined to be All Natural and Safe.